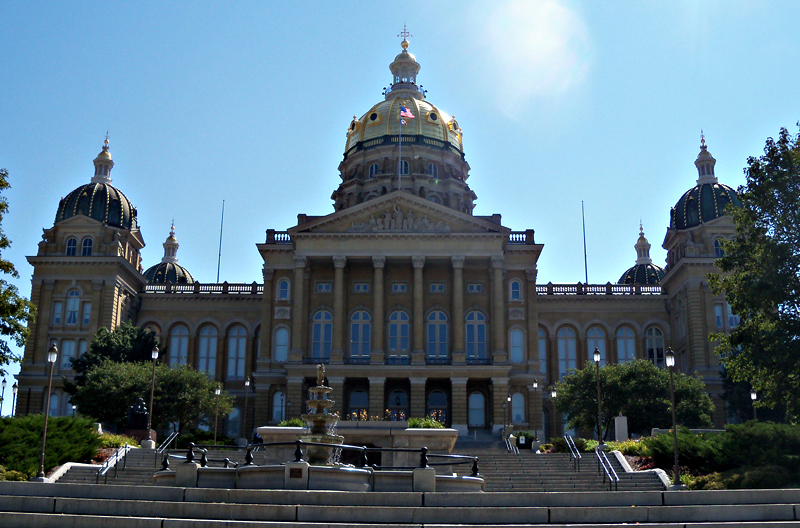 After nearly six months of wrangling, the members of the Iowa House and Senate put the finishing touches on a more than $7 billion state budget plan and concluded the 2015 legislative session this afternoon, shortly before four o’clock. In the end, legislators settled on a 1.25 percent increase in general state aid to schools, plus a one-time spending boost of $55 million on top of that. Governor Branstad now has 30 days to review the legislature’s budget proposals — and he has the authority to use his “item veto” power to erase parts of the bills lawmakers passed. One potential item veto could skuttle the bipartisan proposal to keep the Mental Health Institutes in Mount Pleasant and Clarinda open past July 1st. Branstad has started closing the facilities. Senate President Pam Jochum, a Democrat from Dubuque, had pushed for more legislative oversight of the governor’s move to hire private companies to manage the state’s Medicaid program. Democrats controlled the debate agenda in the Senate, while Republicans controlled the House and the governor’s office. In late February legislators voted to increase the state gas tax. Gronstal said that decision — which was bipartisan but not unanimous — made the rest of the session “more difficult…at times” because of lingering anger from opponents of the move. Paulsen said “it depends on your perspective” whether that was a good decision or a bad decision. “It’ll probably be remembered both ways,” Paulsen said this afternoon. For the third year in a row, legislators failed to pass the governor’s anti-bullying proposals. Lawmakers did pass a bill that sets a new school start date in late August. That came after the governor put schools on notice they wouldn’t get waivers anymore to start in early August and would have to start during the week in which September 1 falls. Among the issues that stalled: raising the minimum wage and legalizing fireworks.